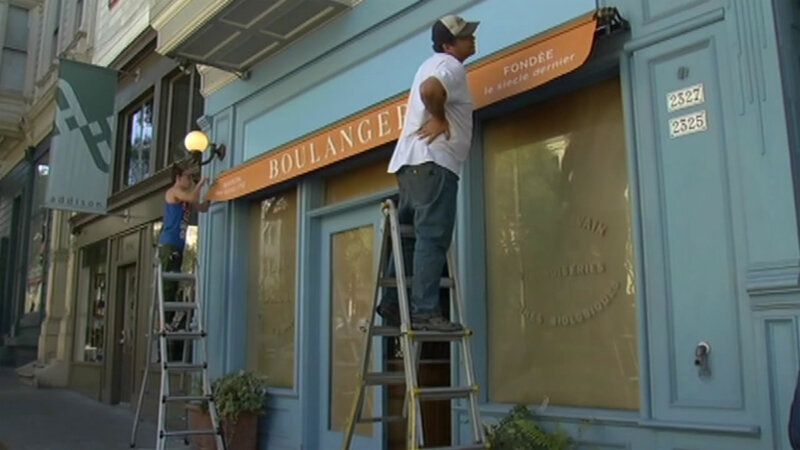 SAN FRANCISCO (KGO) -- Rejoice, La Boulange fans, the founder of the popular French bakery chain plans to re-open six locations in San Francisco. Workers at the Pine Street location prepped one of the new La Boulangerie de San Francisco stores. Starbucks acquired La Boulange three years ago and began offering the chain's baked goods at its coffee shops. Over the summer, Starbucks decided to close all 23 locations saying operating the chain was a distraction.